This is one of our most popular downloads for both marketers AND practice leaders. Practice leaders love it because it helps them stop dabbling and get serious about growth. Marketers love it because it empowers them to focus on strategic activities. 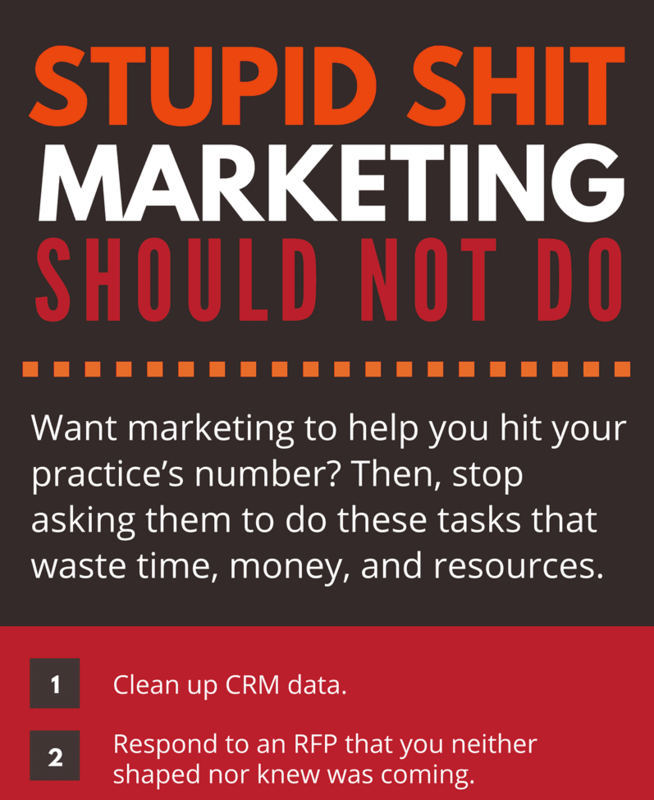 The bottom line: If your firm wants marketing to improve your chances of hitting your number, then stop asking them to do the 20 items on this list that waste time and resources so they can get to the more demanding and valuable work.